There is a space between the brain and the skull called the arachnoid space. It contains CSF (Cerebral Spinal Fluid) and a rich supply to nourish the brain. Misalignments of the skull, decrease this space. This interferes with the CSF and blood supply to that part of the brain which, can decrease the ability of the brain to function. 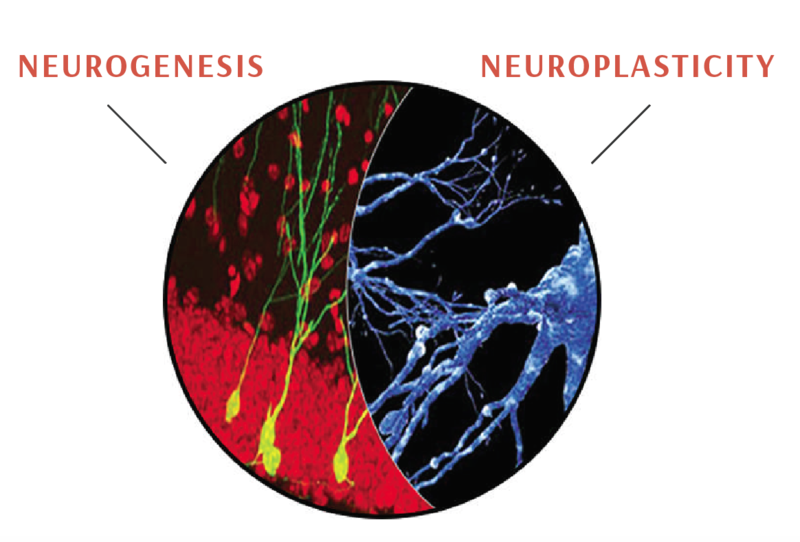 The ability of the brain to grow new neurons. The ability of the brain to learn new functions at any age. The area adjacent to the damaged section of the brain can take over the function of the damaged area. There are only 750 doctors world wide who can provide cranial adjusting. Modern science has discovered through the use of MRI, Electron Microscope, Dissection, and Photo Scanning which areas of the brain are responsible for particular functions. There are 22 bones in the skull. All of which articulate (are movable). These skull bones can become misaligned from trauma. 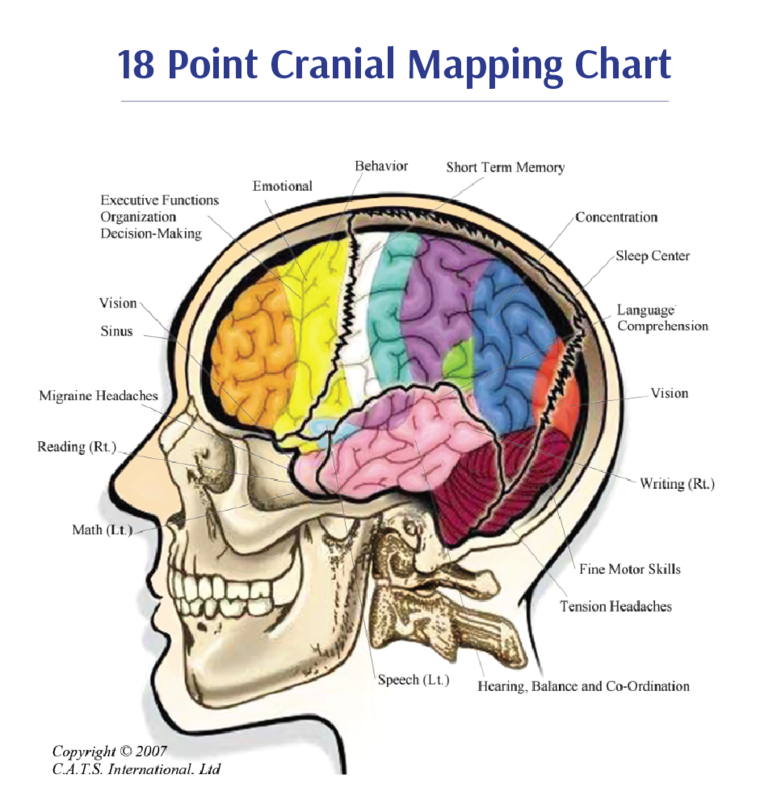 The 18 Point Cranial Mapping Chart shows a few of the common areas of the brain affected by head injury. Contact Dr. Michele Gardner for your evaluation and report 908-782-7470.